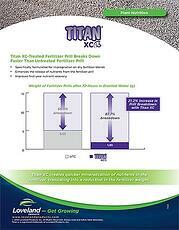 Titan XC is a fertilizer biocatalyst that is specifically formulated for use with dry fertilizer blends. Distributed through Loveland Products, this formulation is extra concentrated for superior impregnation on fertilizer prill. 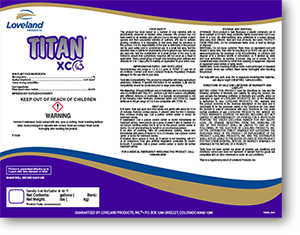 Titan XC contains concentrated biochemistry that helps growers get more out of their applied P & K fertilizers by increasing nutrient availability and enhancing root growth and function. 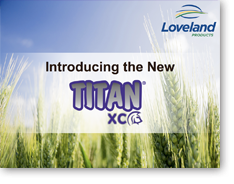 By accelerating the breakdown of treated dry fertilizers and converting organic nutrients into inorganic forms, Titan XC makes nutrients more available for plant uptake and utilization, helping to optimize yield potential and providing outstanding grower ROI. Titan XC can be incorporated into any conventional production practice that employs dry fertilizers.